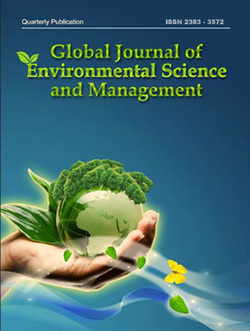 “Global Journal of Environmental Science and Management” (GJESM) is a fully open access, double blind, peer reviewed, electronic and print, quarterly publication concerned with appropriate aspects of environmental science and management. GJESM publishes original research papers, review papers, case reports, short communications and letters to the editor as well as the editor’s response to letters. GJESM covers topics across the broad field of environmental science and management Environmental scientists and academic are invited to contribute their knowledge and experience. The publication appears at regular time intervals four times a year. GJESM is fully open access and full texts of published articles are available to the public through the journal’s website for free. GJESM practices peer-review process to control the scholarly content of submitted manuscripts by international experts. GJESM’s Editorial Board selects manuscripts with excellence in content, preferably without commercial targets. It should be noted that GJESM is published in association with Iran Solid Waste Association (ISWA).